Visiting the vibrant and colorful city of Lisbon, on the banks of the river Tagus and the edge of the Atlantic Ocean, what is most showcased is one episode of the city’s and country’s glorious past: Lisbon as the capital of the Portuguese Empire, a nation of explorers, seafarers and conquerors. However, for those interested, there is much more ancient history to explore among the narrow and steep streets in the capital's oldest surviving neighborhoods. In fact, Lisbon is one of the oldest cities in Western Europe, tracing its roots to the first Celtic settlements in the region and the establishment of a trading station by the Phoenicians c. 1200 BCE. The city was under Roman control from 205-409 CE and Moorish rule from the 8th century CE until the first king of Portugal Afonso Henriques I (r. 1147-1185 CE) won control of the city in 1147 CE. Though the city’s history in many ways is well documented and the cultural influences of previous rulers are visible, sadly, much of the ancient and medieval city was destroyed during the devastating earthquake of 1755 CE. Ancient and historical monuments and buildings from before the 18th century CE are therefore a lesser part of today’s cityscape than the city’s rich history would imply. Luckily for history enthusiasts and students, as well as tourists who wish to explore Lisbon’s past, there are two sites still (partly) standing: the Castelo de S. Jorge and the ruins of the Santa Maria do Carmo Church. Their outstanding beauty and fascinating history arguably make up for much of what has been lost. The Castelo de S. Jorge occupies the most prominent location in all of Lisbon. On top of the highest hilltop, the historical monument is visible from all parts of the town, and when visiting you will get a magnificent view of Lisbon and the Tagus River. The fantastic view is, in fact, the first thought that strikes you as you enter, and it is not hard to understand why, for centuries, every ruling elite of Lisbon wanted this location as their residence. The hilltop contains a rich history, with archaeological finds dating back to as early as the 7th century BCE and there are a lot of different areas to explore. The main sites and monuments to see are the castle itself, the ruins of the Alcáçova Palace — the royal residence of the Portuguese medieval kings — the archaeological site and the museum and permanent exhibition. ...envisage princesses, knights, & kings plotting dangerous schemes, running away with a secret lover or hosting a magnificent ball. As you walk through the beautiful garden and ruins, maybe climbing some of the towers or to enjoy more of the view, you will find the entrance to the museum and permanent exhibitions, also partly located within the ruins of the medieval palace. The exhibition contains archaeological finds from within the castle walls. There are some remains dating from the 7th century BCE, as well as from the Roman period (205 CE - c. 409 CE) and the Visigothic fortification. However, most of the artifacts are from the Moorish period, especially the 11th and 12th century CE. This is the period when the castle was constructed. The hilltop was first fortified by the Romans, and the oldest part of the castle dates to the 6th century CE, but most of the castle you see today was established and constructed by originally North African Moors. The Moors ruled much of the Iberian Peninsula from the 8th century CE until they were driven out by the Portuguese and Spanish Reconquista, finally losing their last stronghold in Grenada in 1492 CE. After enjoying the memorable view you will walk towards the main parts of the castle, but first you will pass a tall statue of one of the most important individuals in the castle and Lisbon’s history (at least that we know of today): King Afonso Henriques I. King Afonso captured the Moorish fortification in 1147 CE with help from crusaders on their way from northern Europe to Jerusalem. Next, you will enter the area named the “Romantic Garden”, which is where the medieval residence and palace used to be located until the earthquake of 1755 CE. This area is truly magical and in some ways haunting. Remains of fountains, gates, walls, and doors are still standing entwined in green bushes and trees. It looks like the perfect film set for a romantic drama set in the Middle Ages, and it is not hard to envision princesses, knights, and kings going about their everyday lives plotting dangerous schemes, running away with a secret lover or hosting a magnificent ball. After spending some time in the museum, it is time to enter the castle itself. It is only a couple of minutes walk from the romantic garden and museum, and on the way, you are likely to be met by beautiful peacocks who walk freely on the historic property. The castle stands out in the scenery, and the massive brick walls truly look unreachable. This castle was not built as a residence but as a defensive stronghold. The fortification could house the elite rulers of the city if the citadel was under siege, but it was normally used to house military troops. Entering you have to walk up the ramp over the previous moat. Then you will be standing in front of the “Tumbling Tower”, also known as the “Tower of Riches”. The tower used to contain the royal treasure, which consisted of income from taxes and royal rents, as well as The Royal Archives, which included the most important documents in the kingdom. The Royal Archives were stored here and in the palace tower, as well as in other parts of the castle until the earthquake. Moving on you will walk into the courtyard, which is enclosed by thick walls and high towers. There are not many objects to see in the castle itself, but it is nice to walk around the courtyard and climb some of the walls and towers, again envisioning what the site might have looked like while in use by either the Moors or the Portuguese royal elite. If you walk around the castle keep, the most important part of the castle because it was built to withstand heavy attack, you can climb a few steps up to the cistern tower. From here you can walk on top of the wall away from the main castle and towards the archaeological site. From the walls, you will get a good overview of the archaeological area, where you can study the remains from three different eras. Closest to the wall is remains from the Moorish Quarter, dating from the 11th and 12th century CE. The two most notable houses are known for their beautifully decorated walls - parts of these buildings are therefore protected by a modern construction. The other areas contain finds from the palace of the Counts of Santiago, dating from the 15th-18th century CE, and residential structures dating from the Iron Age (7th-3rd century BCE). You are not free to walk around the archaeological site by yourself, but there are free guided tours in Portuguese, Spanish, and English several times each day. Soak up the atmosphere of what feels more like a village than a busy capital city. On your way to the next monument on the route of visiting Lisbon’s ancient and medieval past, you will walk through the oldest neighborhood in Lisbon: Alfama. Take your time walking through the narrow streets and past the charming houses while soaking up the atmosphere of what feels more like a village than a busy capital city. If you have the time, it is also worth visiting Lisbon's Cathedral, a beautiful gothic cathedral whose construction began in the 12th century CE, and the ruins of a Roman amphitheater located right outside the walls of the Castelo de S. Jorge. An approximately 30-minute walk from the castle, on the opposite side of the Rossio Valley and in the heart of the historic district of Bairro Alto, you can visit the Carmo Archaeological Museum. The museum is located within the majestic ruins of the Church of Santa Maria do Carmo, the building itself being worth a visit. Historians, archaeologists, and students of architecture alike can enjoy the captivating atmosphere while they learn about medieval Portuguese history, gothic architecture and explore archaeological finds from different time periods and regions of Portugal. The museum even contains a couple of ancient Egyptian and South American mummies. When entering the Carmo Ruins, you first encounter the enchanting view of what is left of the Santa Maria do Carmo Church. The church was founded in 1389 CE by the Portuguese knight D. Nuno Álvares Pereira (1360-1431 CE). The church and convent were meant to showcase Pereira’s temporal power, though it was also connected to his spiritual practice in the Carmelite Order. In fact, the convent may have been built for the Carmelites, a mendicant order tracing its roots to hermits living in the Mount Carmel mountain range in northwestern Israel around 1200 CE. The mountain has since ancient times been known as a “holy mountain” and a “high place” where the Biblical prophet Elija supposedly confronted the false prophets of Baal. Appropriate then that Pereira’s church and convent should be built on one of the highest points in Lisbon, almost as a homage to the original Carmelite convent on the Holy Mountain. The Church was built in a classic Gothic style, an architectural style flourishing in Europe from the 12th century CE. The Carmo church was considered the most beautiful Gothic building in Lisbon until its destruction in 1755 CE. Some reconstruction was done to the church after the earthquake, but the work was not completed and the ruins were left as they are seen today. The main structures are still standing, arguably made even more beautiful as they are bathed in sunlight and only painted by the blue sky above. As you enter the site, artists are practicing their drawing and painting skills trying to capture the breathtaking view, and other spectators are often seated at the benches situated at the entrance of the central nave. It is nice to sit here for a few minutes (or more) just taking in the view and visualizing what the church looked like before its destruction. Then, as you walk the central, southern and northern naves, there are many interesting artifacts to be studied and admired, both tombs and other items and sculptures from the church and convent itself, and other archaeological finds from different parts of Portugal. Noteworthy are the tombs of a 16th-century CE knight from the S. Domingos Convent in Santarém and of Princess Catarina (1436-1463 CE), daughter of the second Portuguese king of the house of Aviz, King Duarte (r. 1433-1438 CE). The different artifacts are now taken care of by the Carmo Archaeological Museum, which was installed in the complex after the Association of Portuguese Archaeologists was created in 1863 CE. The main museum is now located in several smaller halls at the front of the central nave. The first room you enter is the most spectacular as it is filled with medieval tombs, statues and a beautiful large chandelier hanging from the ceiling, making you feel like you have traveled back in time. Your eyes will first land on the tomb situated in the center of the room, the tomb of King D. Fernando I (r. 1367-1383 CE). Sculptured in bas-relief, the tomb is a magnificent work of art depicting religious and lay figures, groups of fantastic creatures, an alchemist, as well as scenes from the life of Saint Francis of Assisi. The different rooms in the museum contain different collections of historic artifacts, including The Prehistoric and Protohistoric Collection; The Roman Collection, The Collection of Sculptures of the High Middle Ages and The Islamic Collection. In the room with The Prehistoric and Protohistoric Collection you can study anthropomorphic idols, vases and stone tools dating from the Paleolithic period (c. 2,500,000-c. 96000 BCE) to the Iron Age (c. 800-c. 50 BCE), while when in the room of The Roman Collection you can admire the famous “Muse Sarcophagus”, found in Valdo dos Frades, dating from the end of the 3rd or beginning of the 4th century CE. In addition, you have a room dedicated to two of the most important and emblematic influencers of The Archaeological Society, Possidónio da Silva (1806-1896 CE) and Conde de S. Januário (1829-1919 CE), where you will discover an ancient Egyptian mummy from the 3rd-2nd century BCE and two mummies from Peru from the Chancay culture (c.1000-c. 1500 CE), dating from the 16th century CE. This museum has something for everyone! If you have enough time, (and enter with enough time before the closing, 6 pm from September to June and 7 pm from June to September) you can spend hours immersed in Portuguese history and cultures from different time periods and regions of the world, while surrounded by the beautiful ruins. Afterwards, you can sit down at the charming and peaceful praça in front of the church, and enjoy a late lunch or a pastel de nata, the yummy unofficial national pastry of Portugal. Wanda has studied International Relations with specialization in History at The University of Oslo. Her main interests are ancient and medieval history, mythology and the study of sustainable use of cultural heritage sites. 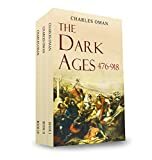 The Dark Ages 476-918 A.D.
Marcussen, Wanda. "Visiting The Ruins of Lisbon’s Ancient and Medieval Past." Ancient History Encyclopedia. Last modified April 17, 2019. https://www.ancient.eu/article/1361/. Marcussen, Wanda. "Visiting The Ruins of Lisbon’s Ancient and Medieval Past." Ancient History Encyclopedia. Ancient History Encyclopedia, 17 Apr 2019. Web. 19 Apr 2019. Submitted by Wanda Marcussen, published on 17 April 2019 under the following license: Creative Commons: Attribution-NonCommercial-ShareAlike. This license lets others remix, tweak, and build upon this content non-commercially, as long as they credit the author and license their new creations under the identical terms. Please note that content linked from this page may have different licensing terms.